I am always perfecting my broth, trying to figure out flavor combinations to make broth more palatable and easier to consume on a daily basis. Bone broth, especially those made with knuckle and marrow bones, can often be difficult to tolerate on their own for some people. They are more robust in flavor and some people feel they need to be incorporated into various recipes like my soups in order to consume. 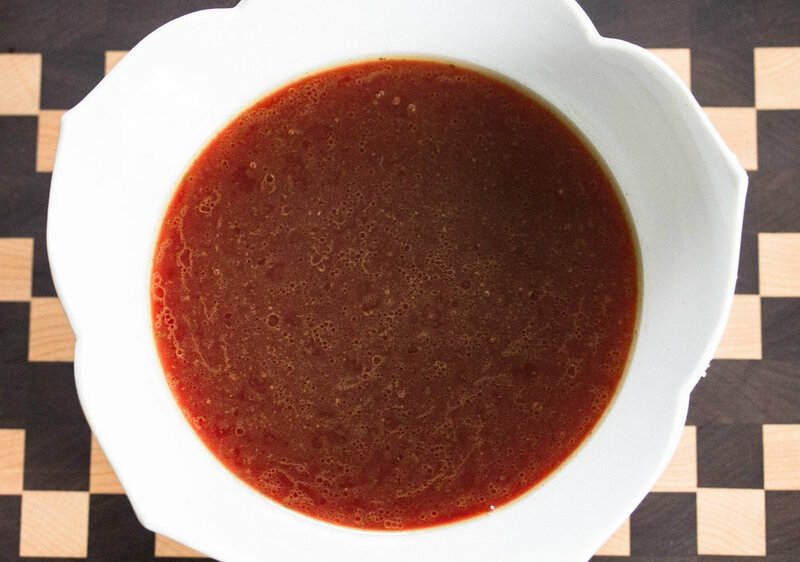 I believe I have mastered this particular broth so that it is tolerable to sip yet sweet enough to add into smoothies and still great to use as a base in any recipe. The sweetness from the beets and sweet potato really balance out the strong flavor of the bones. Give this a try and let me know what you think! For more information on how to make bone broth with my four-step process as well as the health benefits, check out my blog post here! Coarsely chop carrots, celery, beets, sweet potato and onion (Note: You can leave the skins of the onion on to give the broth more flavor). Add veggies to pot. Optional to saute veggies in butter for a few moments until they begin to sweat. Add bones and fill pot with filtered water about 2 inches from top. (Note: You can also use a slow cooker, prepare the same way by filling cooker with contents and water about 2-in from top. Set on low for 24-42 hours). Add bay leaves, peppercorns and salt. Bring mixture to boil then turn to low/simmer for about 24 hours, stirring every so often. Strain broth into separate pot or container to remove vegetables. Sip broth as is or incorporate into blended soups or oatmeal. Enjoy!